Dogs have been kept as pets since a pharaoh ruled Egypt, where they were kept in mud brick kennels. 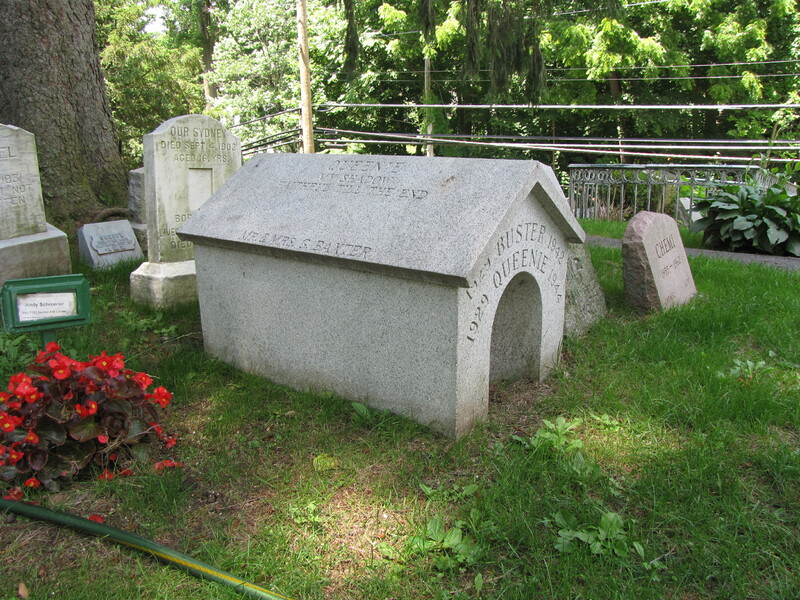 Their digs over the years evolved and, for the most part, our dogs either live inside our homes with us, or outside in a small pitch-roofed building resembling a tiny house. 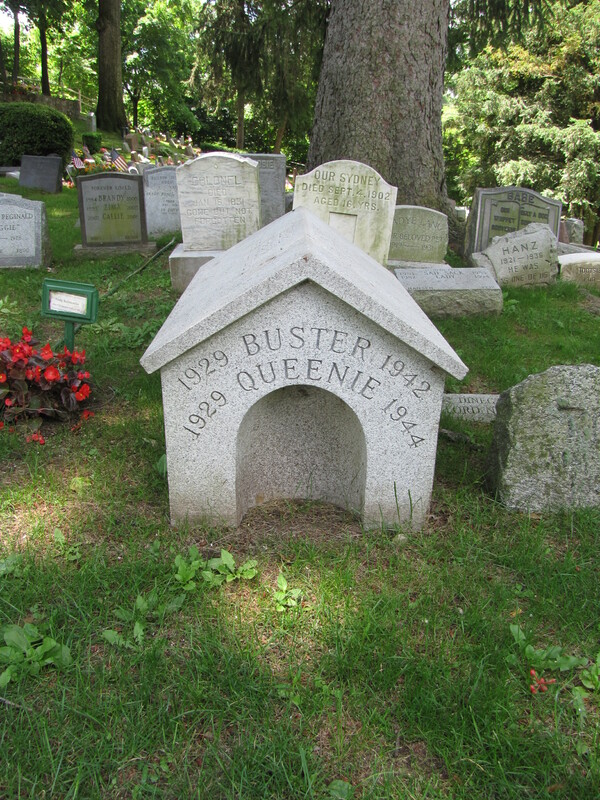 The memorial for Buster and Queenie in the Hartsdale Canine Cemetery at Hartsdale, New York, mimics the typical modern dog house.